We have been lucky enough to receive two lovely Betty Crocker Cupcake Mixes to test and try out with the Family. We were sent the Lemon Flavour & the Cookies & Cream Flavour. Here is what we thought. First impressions are really good. The packaging is simple with a wealth of information which is easy to read and understand. Included in the pack is the cake mix, icing, cases and sprinkles. All you need to add is eggs, milk, water and oil. These packs make 9 decent sized cupcakes which taste scrummy so big thumbs up for that. When it comes down to actually making the cupcakes it's easy peasy lemon squeezy (see what I did there)! It only took a matter of minutes before they were popped into the oven and baking nicely. They also made the house smell great, yum. Definitely be baking these if we have friends round or they're quick and easy to make for birthday parties. So I'll let my photos do the talking, here is how we got on with the making process. Into the cases we go, drip... drip...! Careful now, hot oven ahead. Ahh, the finished product. Delicious! As you can see, lots of concentrating as I wanted to get them right first time but it was easy to be honest and the end result was delicious. No complaints for the other half either infact he managed to scoff most of the cupcakes so they must be good. Betty Crocker Lemon and Cookies & Cream cupcakes are available from ASDA,Waitrose and Morrisons RRP £2.15. Overall brilliant cupcakes mixes, very tastey, easy to make and decent retail price. Perfect for busy mums on the go who need to take cakes to school for the kids or to a party. Will definitely be recommeding to friends and family. Please visit www.bettycrocker.co.uk for more information and products. Betty Crocker are also on facebook so pop over and tell them The Breastest News sent you. The lovely people from Baby Black have kindly sent us one of their lovely t-shirts from their sister label Super Natural Kids Clothing. Logan's such a lucky boy and this t-shirt is so soft we couldn't wait to try it out. Here is what we thought. The fabric that Super Natural Kids Clothing have used for their first range is a SUPERNATURAL mix of organic cotton and silky soft Modal so their clothes feel as good as they look. Organic cotton, although free of nasties, needs loads of water and land to grow. Today’s demand for all cotton is environmentally unsustainable, so Organic cotton can’t be the only eco-way forward. They need efficient fabrics that keep their shape, size, colour and soft touch and need a minimum of energy consuming aftercare. Modal is a man made cellulose fiber produced from sustainably farmed beech wood. It feels like silk and doesn’t lose its shape, fade, pill or shrink. It’s one of a number of fabrics that are being developed today using modern, cutting edge, environmentally conscious methods of production – proof that man and nature can work together in near perfect balance – SUPERNATURAL! For the first range they've used cotton grown in India by farmers who are part of a development project. The garments are made by a partner factory who operate sustainably with fair wages and labour practice. As for the t-shirt, it's lovely. So soft and stretchy but always seems to spring back to it's original shape. It's brilliant for Logan's skin as it is quite sensitive so doesn't rub or irritate. This t-shirt washes great as well, no fading or running colours of the fabric so big thumbs up. These t-shirts are best not to be tumble dried as they don't really like it and neither does the environment! These t-shirts are made from 50% Cotton & 50% Modal and come in sizes from 1-5 years. You can purchase them in three different colours including; Castlerock Grey, Lilac and Tomato Puree Red. RRP £18.00 and postage is free at the moment so grab yourself a bargain. There is also a Special Offer on at the moment - if you buy a dress or t-shirt you get the leggings for £4 instead of £16! Now that's a bargain! Overall we love these t-shirts from Super Natural Kids Clothing. They are a bit pricey but you do get what you pay for and they wash well so will more than last for the next child. Please visit www.supernaturalkidsclothing.co.uk for more information and products. You might also like to visit www.babyblack.co.uk for other interesting clothing! To keep up to date with all the latest info why not take a peak at their twitter page? Remember to tell them The Breastest News sent you! The lovely people from H. Grossman Ltd sent us a few samples of their re-invented popular pocket money toy - Alien Cosmolights. They have all the gooey attributes of the original, an egg or pod, which contains yucky multi-coloured gel, and inside a tiny sticky alien. Here is what I thought. I was sent the Alien Cosmolights Twinpack which has two baby aliens along side the normal adult one and also a light up alien pod! For the pod to light up is has a little ball inside it which can be removed and thrown around to light up at your pleasure or you can leave it in the pod and watch the pod flash with delight. I really think this would capture a child's imagination for quite a long time as the flashing is very watchable, I can't stop rolling the pod around myself just to watch it light up - sad I know! Once you get past the flashing light then comes the goo! It's lovely and gloopy but the smell put me off, it's just a strong plastic smell which was too much for me but something I could see children ignoring completely and getting stuck into. The alien itself is nice and sticky and fabulous for throwing off windows. You also get two alien babies in the pack as well which are very cute and perfect for throwing around and sticking windows too. The only thing that concenrs me is the alien and gel goo could possibley stain so shouldn't be placed on porous surfaces. These aliens are for children aged 6+ because of small parts etc and I would agree with this age, best kept for children who won't want to eat them! 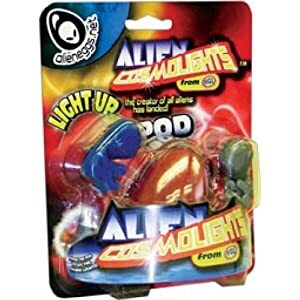 You can purchase your very own Alien Cosmolights from Amazon currently selling for £3.79. Overall these are brilliant little pocket money toys that will keep your child entertained for ages. The flashing light was a hit with me and I'm sure the sticky alien will be loved by all, especially when it's rolling down your windows! Please visit www.ozbozz.co.uk for more information and products. The lovely people from Organix have kindly sent Logan some of their brand new Organix Mighty Meals to try out for them. We were sent the Pork Meatballs and Hearty Lamb Hotpot. Here is what we thought. The new Organix mighty meals are a range of delicious and nutritious organic toddler meals perfect for children aged 1-3 years. They are wholesome meals perfect for growing toddlers ready to move on from baby puree with lumps to more textured foods. There are five yummy recipes to choose from including; Hearty Lamb Hotpot, Creamy Chicken Pasta, Pork Meatballs, Spinach Falafels and Tomatoey Beef Bolognese. Well we thought these meals were great. They are the perfect alternative to a home cooked meal and are jam packed with organic goodness. As with all Organix products there is no junk so you can be rest assured your toddler is getting only the best at meal times. Logan loved the food we received, the Hearty Lamb Hotpot was his favourite. He polished the whole dish off and was still looking for more! The Pork Meatballs were a lot lumpier and practically the same as you would cook from scratch at home but he managed to eat it no problem, I just cut the meatballs in half to make sure he ate them safely as he has a habit of throwing anything in his mouth even if it's too big for him. These meals are easy to heat, you can place them in a pan of simmering water for 10 minutes or you can microwave them at 850w for 40 seconds. Always make sure to test the temperature of the food after microwaving to make sure there are no hot spots that could burn your toddlers mouth. You can purchase these brilliant tasty meals from Boots who are currently offering a 20% discount until the middle of June, perfect if you want your toddler to try them out. Normal RRP £1.99 (for 200g). These meals will also be available in Asda, Sainsburys and Waitrose from June/ July onwards. Overall a massive thumbs up from both Logan and I. The price is good for an organic meal and I had a little taste of these as well and they definitely are scrummy. Perfect meal to give your child if you are in a rush but still want them to have the best. Please visit www.organix.com/mightymeals for more products and information. You can also see what the Organix team get up to on twitter and facebook. They always have recipes, giveaways and friendly advice so pop on over. Remember to tell them The Breastest News sent you! Whilst visiting the Scottish Baby Show we were lucky enough to meet some of the people behind the fab DermaH2O Water Wipes, the world's purest baby wipe. After a little chat we were asked if we would like to review their product. I jumped at the chance as Logan has one of the most sensitive bums ever and most if not practically all baby wipes I've tried so far seem to irritate and sting his little bottom. So here is what we thought of the Water Wipes. First impressions are amazing! These wipes are made with 99.9% water and only 0.1% Grapefruit seed extract - nothing else. They are totally free from preservatives which completely astounds me as why aren't other baby wipe manufacturers doing this? Water Wipes claim that these wipes are convenient but with the genuine purity of cotton wool and water as recommended by midwives. Well our little family definitely agree, these wipes truly are amazing. They feel soft and moist to touch and are nice and thick so no worry of them falling apart when wiping a sticky poo from babies bottom. Logan has had some bad nappy rash recently and these wipes didn't sting his bottom at all. Infact myself and my other half even tried them out just to be sure and they get the thumbs up from us. These would be perfect for newborns and babies of all ages with sensitive skin. They are extra soft absorbent wipes that don't leave any greasy residue unlike other wipes on the market. Another bonus is that these Water Wipes are 100% Biodegradable and are made from renewable sources, hurray! Also since they are ultra-mild and non-irritating they significantly reduce the risk of allergic reaction on the skin. 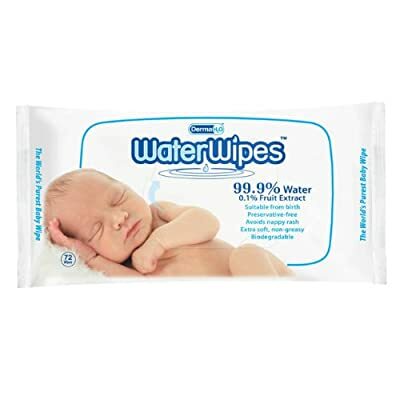 Water Wipes have amazing reviews on Amazon as well, all 5 Stars so you know they must be good. I completely love these wipes and will definitely be purchasing more for Logan in future. I am so glad I have finally found a baby wipe that is kind to Logan's bottom. I really cannot recommend them enough. To purchase your own pack of DermaH2O Water Wipes (72 wipes in a pack) please visit Amazon.co.uk where they are retailing at £2.99. Overall these wipes are fab, the whole family love them and we will most definitely be purchasing more ourselves and recommending to friends and family. The only niggle we have with them is the price! They are a bit more on the expensive side so might not be practical for everyone's budgets but you do get what you pay for with these. They are brilliant quality and do exactly what they say on the pack. For more information please visit www.dermah2o.com. You can also see what DermaH2O is up to on Facebook so pop on over and remember to tell them The Breastest News sent you! The next craze to hit the high street is here! If you're looking for a fun, safe and educational children's product, look no further than Webkinz. Logan and I were lucky enough to be sent two plush toys to review and also codes to their website world to see what it's all about. Here is what we thought. First impressions are great. The Webkinz soft toys are lovely, very plush and soft which is perfect for kids and they are a good size as well. Really easy to cuddle and Logan thought they were great. He was cuddling them in, throwing them around and generally having a great time playing with them. They are very good quality and have been well put together which is fab, no threads or loose bits hanging around. As well as being a lovable plush toy each Webkinz comes with a unique secret code which allows you to adpot the pet online into the magical Webkinz World! The online platform is a whole world for users free to roam and explore. Whether you fancy a quick quiz in the Tournament Arena, feed your pet a bowl of cereal or a chat to your friend in the Kinzchat room, Webkinz can offer it all. I found the website really easy to navigate and with the help of Ms Birdy, who explains everything in words and audio it was a piece of cake. The website is alive with a vibrant array of colours which is sure to keep the kids occupied for hours. There is lots to do as well, games, quizes, tournaments - you can even go to the employment office and get a job! I really think this is a great site to help teach your kids the basic things that happen in life and also the value of money. They have to work to earn their own virtual money (kinzcash) and save up their money to buy their pets food, toys, furniture etc. A really good way of teaching the value of money as I mentioned. There are a whole variety of Webkinz plush soft toys to collect and every time you get a new one be sure to enter it's secret code online to have another pet in the Webkinz online world. There is no limit to the amount of pets you can have, you even get more virtual money (kinzcash) every time you register a new pet. Although Logan is too young to use the online Webkinz world I quite enjoyed it and I think it would be suitable for children aged 3+ and with it being easy to set up with help from mum or dad you'll be glad you introduced your child to it. To purchase your own Webkinz RRP £5.99 visit www.iWantWebkinz.com. You can also purchase the smaller plush pets called Lil Kinz which retail at £3.99. Overall the plush soft toys are excellent quality and a great price for a cuddley toy and access to the amazing online Webkinz world. 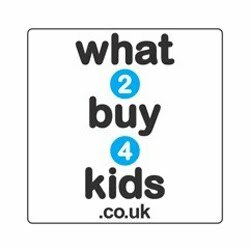 The website is fab, a really great way of teaching your kids values whilst they have fun, what more could you want. Please visit www.webkinz.com for a peak at the amazing Webkinz world and visit www.iWantWebkinz.com to purchase your very own Webkinz or Lil Kinz pet. We haven't been swimming since Logan burnt himself for obvious reasons but since his burns have all healed up and he's now fine we had been meaning to take him for a few weeks. We finally got round to it on Sunday when we visited the lovely swimming pool in Perth. It is amazing, by far one of the best pools for kids and babies. It has a seperate little pool with slide for babies and also a little bit for them to walk about in with water features etc. Then it has the bigger pool for the older kids and an outside pool you can swim out to which was great. Logan loved the big pool tons better than the babies pool so we ended up spending most of our time in there. It was a great day out and a big hit with Logan so we'll def be going back soon. Since it was another long bank holiday weekend we decided to take Logan to the Noah's Ark soft play centre in Perth. It's been revamped and Logan loves the under 5's section. It has a wall with big buttons on it which you press and they make animals noises, he thought it was great. He spent atleast an hour running around in the soft play quite happily and when he was feeling tired we grabbed some lunch before heading home in the car where he had a nice long sleep. Brilliant day and one we'll need to repeat again. We've been needing a new camera for ages and finally decided to treat ourselves to one at the weekend there. A brilliant little Canon camera that's producing brilliant quality photos and taking photos a lot faster which we wanted. We always found that compacts seem to have a delay in taking photos and the moment was always lost! Well not with this bad boy, well worth every penny. Very happy customer here. Is your child a bouncing mad monster with so much energy your scared to leave the house?! Well my friend, you definitely need a Happy Hopperz to zap the energy out of them. A better and safer alternative to the original space hopper the Happer Hopperz will have your kids in a bouncing frenzy, perfect for hours of bouncing fun. Logan was lucky enough to be asked to review this exciting product and since he's mad for a bounce we quickly agreed before Happy Hopperz changed their mind. Here is what we thought. We recieved a green bull happy hopper and it's actually a lot bigger than I expected it to be, meaning I could jump on it and hop around as well if I felt the need to (which I did on many occasion!). It says that this is not suitable for children under 3 due to small parts being present but with adult supervision it's a brilliant toy and Logan loved it. He struggled to get on and off it sometimes as he's not great with his balance but with my help he managed just fine. The happy hopper was really easy to inflate, we just used the hand pump we had for blowing up my exercise ball and it was up in seconds. Easy to deflate as well if you need to and these come in a massive array of colours and animals including; bulls, cows, dogs, pigs, deer, horses, pandas, rabbits, zebras etc. They have been created for play and development so help to strengthen core muscles, increase balance control and develope coordination skills. Happy Hopperz are also easy to clean just use some soap and water, simples! You can purchase your own Happy Hopperz from Argos or directly from the Happy Hopperz website at RRP £21.99 plus P&P. Please visit www.happyhopperz.co.uk for more information and products. Happy Hopperz can also be found on Twitter and Facebook so hop on over and see what they're getting up to. Remember to tell them The Breastest News sent you! The Cleaning Fairy - we all need a hand now and again! Now I'm sure you would all love a cleaning fairy who could come and clean your home when you were out at work or with the kids and when you returned your house would be spotless! If only miracles like this happened... they don't unfortunately, so that's why I've pulled together a list of some of the best cleaning products on the market. Come and take a gander at these beauties. You can choose from two cloths in the Sarah Smith range, the all purpose cloths which are good for every day use such as washing dishes, soaking up spills, dusting and wiping down surfaces etc or you can use their ultra cloths which are ultra absorbent and at their best in the kitchen or bathroom. Both cloths are machine washable at 40o but avoid fabric softener for best results. The all purpose cloths are quite big and claim to stay fresher for longer which I agree with. I tested these out and they really do stay fresher than other cloths I have used. Like the ultra cloths the all purpose cloths are durable, long lasting and will add a brilliant splash of colour to any kitchen with some funky bright designs. You get 4 ultra cloths in each pack and 10 all purpose cloths in each pack so why not purchase some for your house from Tesco, Sainsbury's, Waitrose or Homebase. What I love about this little cloth is that you only need water to use it! Completely chemical free cleaning so perfect for the more eco conscious person out there. So I hear you ask, how does it work? Well e-cloths have 480,000 fibres per cm2. By combining e-cloths unique fibre technology with water they break up and hold grease, dirt and bacteria, which normal clothes leave behind. I found this really good for my cooker hob which I always find a nightmare to clean as it's stainless steel and the cooking oil just loves it! I also like that you can use this cloth as it is for dusting so very handy. The e-cloth will save you time and money and is better for your family and the environment. You can purchase your very own e-cloth general purpose cloth from John Lewis, Lakeland, Waitrose, Resco and Debenhams for RRP £4.99 (for one cloth) or you can purchase the 4 cloth multi pack for £14.99 from Waitrose, Homebase and Lakeland. If you, your child or pet suffer from allergies then this is the product for you. The Allergen Wash from Allergy Cosmos is a laundry detergent which removes dust mites, household pet dander, mould, mildew and pollen from your clothes using a mild and safe concentrated super surfactant formula. Using only just a 3/4 scoop per average washer load it will reduce the irritants in your clothes and clean them as well. This stuff really does work, our dog Lexie has major allergies to dust mites and after cleaning her bed with this detergent I have notice that her skin is looking a lot better and not as irritated. I will definitely continue to use this for washing her bed. I think this detergent would also be great for newborns clothes as it is free from perfumes, dyes and other irritating additives and is safe to use on delicates, clothing, towels and bedding so an all round winner here. This detergent is effective in any water temperature and the 24Fl. Oz. bottle (709.76ml) will launder over 30 medium washing loads. Why not purchase your own from the Allergy Cosmos online store for RRP £16.96. These kitchen paper towels are amazing! They are so thick and quilted they act just like a normal cleaning cloth and I was surprised to find that you don't use as many as you think you would as they are super absorbant and extremely strong. I found these great for wiping Logan's highchair as he loves to be messy and tip his water all over the place. I only needed to use one to clean up all the water and the towl didn't break either which is fantastic. My other half loves these kitchen towels, he's sick of having to use about 5 sheets of normal kitchen towel to clean up Logan's mess. Now he only has to use the one and he is very impressed. Infact he is so impressed he's been singing their praises to all of our family and friends. You can purchase your very own Thirst Pockets Multi Cloths (pack of 2) from Tesco, Sainsbury's, Morrisons and Asda for RRP £2.39. Milton have a great range of cleaning products including; antibacterial surface wipes, antibacterial surface spray, antibacterial hand gel, sterilising fuild, antibacterial fabric solution and sterilising tablets. My favourites had to be the surface spray, surface wipes and hand gel as I used them every day. The surface spray was great for cleaning my kitchen worktops and using to give the bath a quick clean up after Logan had been in it. The hand gel was great to use after cleaning Logan's nappy so we kept that in his changing unit so it was easy to hand and the surface wipes were brilliant for taking out and about and cleaning high chairs in cafes before we let Logan sit down and have his lunch. It made me feel so much better knowing that the high chairs had been cleaning first as you never know how reliable the cleaners are in some cafes! The fabric solution is £5.73 for 1000ml, surface spray £2.29 for 500ml, wipes £2.29 per pack, hand gel £2.19 for 100ml or £5.21 for 450ml, sterilising fluid £2.13 for 500ml or £3.05 for 1 litre and the sterilising tablets are £2.29 for 28 tablets. You can purchase these products online at www.milton-tm.com or from all good supermarkets. You can see what Milton get up to on twitter and facebook, why not pop over and pay them a visit! So there you have it! Why not be your own Cleaning Fairy and give your home a good clean up with some of these amazing products.